China and France Tuesday agreed to further advance their comprehensive strategic partnership. Chinese President Xi Jinping and French President Emmanuel Macron reached the consensus during their talks in Beijing. “Bilateral ties stand at a new starting point,” Xi said. “China stands ready to promote exchanges and enhance mutual trust and cooperation with France in order to inject new impetus into the development of the China-France comprehensive strategic partnership,” Xinhua News Agency reports. The French politician’s first official visit to China is notable for coming as other leaders of the Western world struggle domestically. In fact, Macron appeared as “perhaps the leader of Europe at this very moment” said Philippe le Corre, a research fellow at the Harvard Kennedy School. 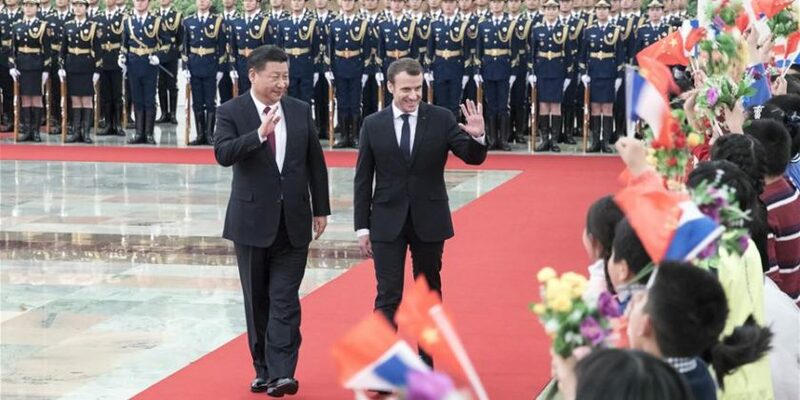 The 40-year old French president is keen to gain more access for French companies to often protected Chinese markets and is traveling with a delegation of about 50 businessmen. A large order of Airbus planes from China appears likely as French President Emmanuel Macron ends his visit in Beijing. French farmers have also hailed a deal to end China’s 2001 embargo on French beef.